The latest vintages of one of the most iconic Portuguese wines have reached the market: Monte Velho White and Red 2017. In 26 years of Monte Velho vintages, Esporão was always able to reinforce this wine’s balanced and gastronomic profile and express the Alentejo’s uniqueness. 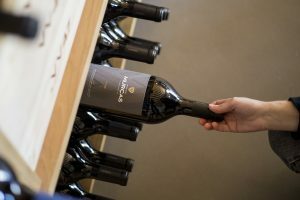 In recent years, the brand also sought to maximise the origin and character of the aromas and flavours of the grapes using integrated production methods. Monte Velho originates from the desire to introduce a wine with the same profile as Esporão Reserva into people’s daily consumption habits, a wine with exceptional quality but without barrel or bottle ageing. This is a wine for every generation, which conveys the region’s cultural identity, both in its flavour and in its image. This year, the Monte Velho labels maintain their inspiration in the regional patterns of the traditional Reguengos de Monsaraz rugs. On an international level, the most prominent wine publications have awarded Monte Velho White and Red various titles, such as Best of Year 2017 and Best Buy, by Wine Enthusiast; Year’s Best Portuguese Whites 2017, by Wine&Spirits and 100 TOP Values of 2016&2017, by Wine Spectator, among others. Monte Velho White 2017 is produced from the traditional Alentejo grape varieties Antão Vaz, Perrum and Roupeiro. This wine has a clear citrine colour, with notes of lemon and delicate fresh white fruit. Intense and balanced, fresh and versatile, with a long and aromatic finish. Monte Velho Red 2017 is produced from the grape varieties Aragonez, Trincadeira, Touriga Nacional and Syrah. This wine has red berry aromas and subtle spicy notes. A fresh wine with good texture and the ideal depth for regional dishes, cured meats and barbecues.